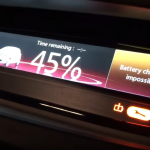 Renault didn’t show any of the seasonal slowdown experience found elsewhere in Europe. 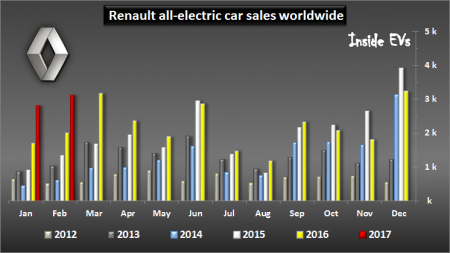 In fact the French automaker noted one of its best months ever for EV sales in February. 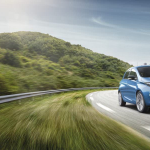 In total, more than 3,100 electric cars were sold (excluding the Twizy), which was 56% more than year ago. 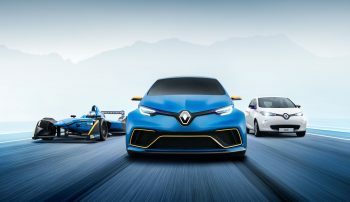 Compared alongside total Renault car sales, EVs held a 1.6% share during the month. 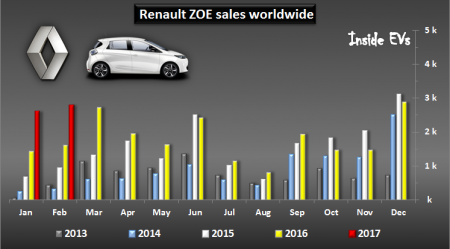 Despite Renault offering several models in its EV lineup, in reality there is ZOE and a few other asterisks…at least when it comes to sales. 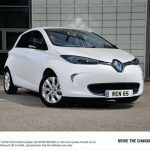 Last month ZOE deliveries amounted to roughly 2,850 registrations – up 75% year-over-year, while Kangoo Z.E., in second spot, barely exceeded 250. 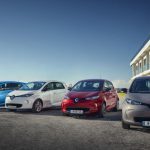 With a 3,000+ monthly results, Renault should cross the all-time, 100,000 all-electric car sales mark (full size, excluding Twizy) in March or April. 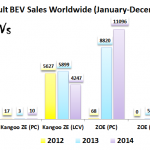 An impressive showing for really a Europe-only brand.